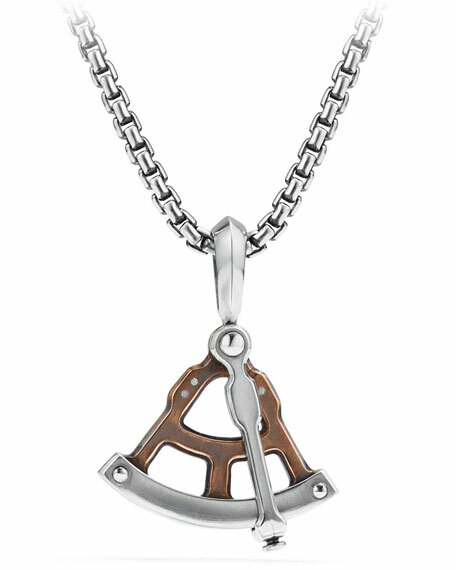 David Yurman men's sextant amulet from the Maritime® Collection. Sterling silver. Double woven leather bracelet. Black onyx inlay. Magnetic clasp. Imported. 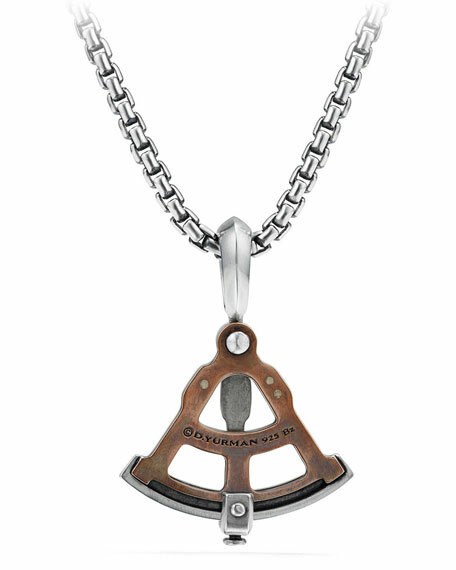 David Yurman men's knife-edge cross pendant/enhancer from the Amulets collection. Pavé black diamonds, 0.45 total carat weight. Approx. 1.1"L (27mm). 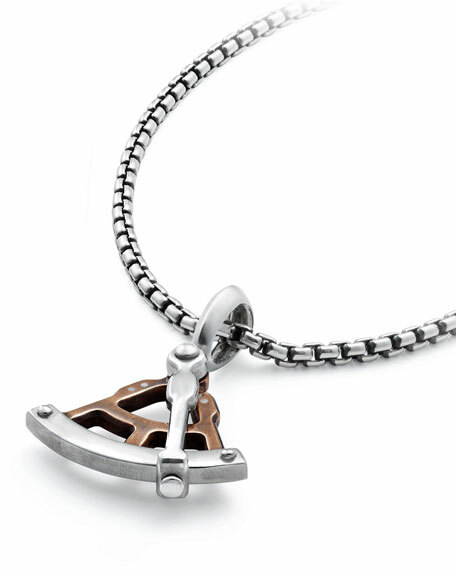 David Yurman men's knife-edge cross pendant/enhancer from the Amulets collection. Pavé black diamonds, 0.45 total carat weight. Approx. 1.1"L (27mm). Sterling silver. Imported. Please note: Amulet only; chain sold separately.